I had been considering a number of options for a new series of paintings. 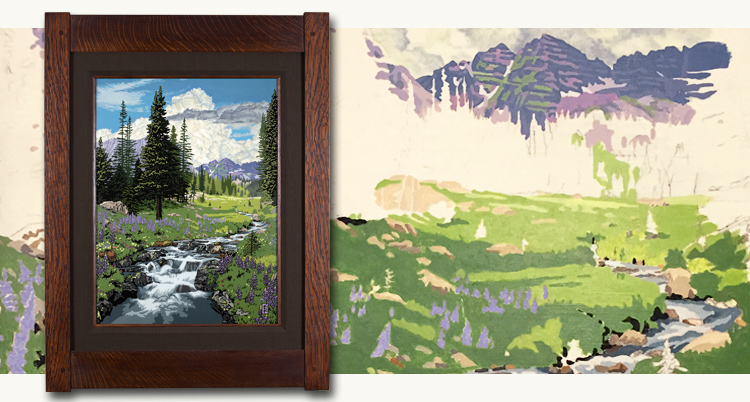 The more I thought about it, the idea of depicting the seasons kept running through my mind. As I thought about how best to communicate the change in seasons, I felt I needed to pick a region that best lent itself to showcase a visual variety. The mountains were the locations that I ultimately chose. Additionally, Modern Bungalow in Denver had started selling my prints in their store. I thought it would be good to showcase the incredibly diverse beauty of the Rocky Mountains in Colorado. 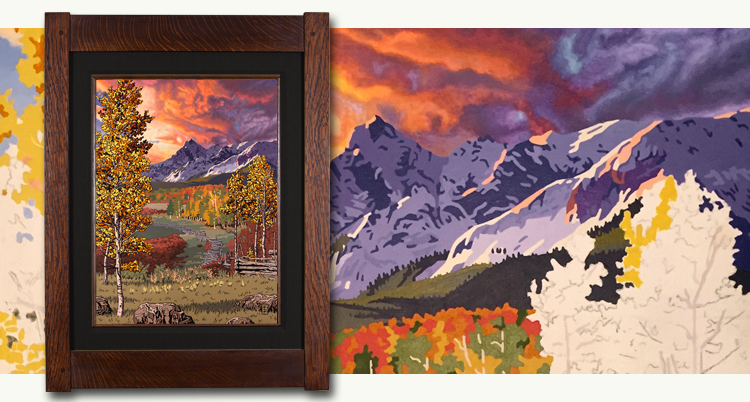 When designing this print, I really wanted to contrast the cold snow environment with a blazing warm-looking sunset sky over the Rocky Mountain National Park scene.